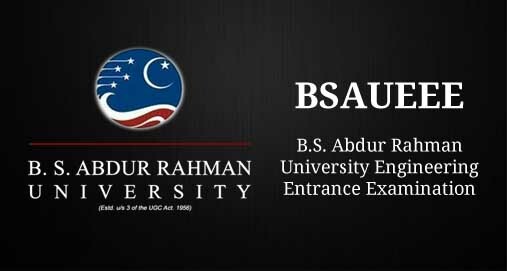 BSAUEEE 2018 refers to the engineering entrance exam for BS Abdur Rahman Crescent. Formerly referred to as simply BS Abdur Rahman University, or BSAU, the institute conducts an entrance exam every year for admission to undergraduate engineering program. Centers for exam are usually spread across cities in Tamilnadu and few other states. 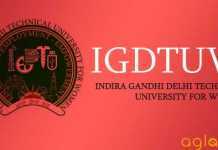 Situated in Chennai, the institute offers a plethora of engineering programs to study. Those who wish to get admission can apply through BSAUEEE 2018 Application Form upon availability. 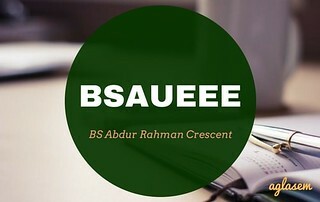 It is expected that BS Abdur Rahman Crescent deemed to be University shall hold BSAUEEE 2018 for admission to B.Tech in Civil Engineering, Mechanical Engineering, Automobile Engineering, Aeronautical Engineering, Polymer Engineering, Electrical & Electronics Engineering, Electronics & Communication Engineering, Electronics & Instrumentation Engineering, Computer Science & Engineering, Information Technology, Biotechnology. Get here complete details of BSAUEEE 2018 such as exam date, application form, admit card, result, syllabus. It is expected that BSAUEEE 2018 notification will be released in January. Upon announcing exam details, the institute will invite applications from eligible candidates. BS Abdur Rahman University is looked forward to conducting BSAUEEE 2018 in April. Expected dates of exam are as follows. Exam was held at Chennai, Coimbatore, Dharmapuri, Madurai, Nagapattinam, Tirunelveli, Tiruchirappalli, Ramanathapuram, Salem, Vaniyambadi, Bengaluru, Calicut, Kolkata, Nellore, New Delhi, Lucknow, Puducherry, Pune, Thrissur, Patna, Ranchi, Vishakapatnam last year. You should have passed 10+2 examination or equivalent with aggregate marks of 70% in Physics, Chemistry and Mathematics. It is likely that age limit will be applicable. Your date of birth should fall on or after 1st July 1995. Fill the Registration Form- Enter the details required like Name of the applicant, Date of Birth, Academic Details etc. Final step, Make payment- Choose the mode of payment as per your convenience. Those who apply before the last date will be able to book test slot. It refers to process of logging in and selecting exam dates. If like last year, BSAUEEE is a computer-based test, then slot booking will take place. Candidates must check dates for slot booking and on given dates login and take action. 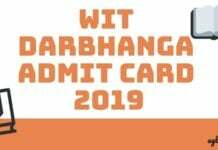 In order to download the admit card, you must have completed slot booking. You need to carry the valid admit card to sit for the entrance exam. The exam will be held as per the schedule. 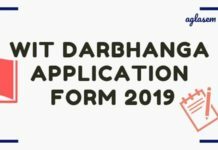 The details entered by the applicant in the admit card will be printed in the admit card as well. The admit card will contain details of the venue, date and time of the examination. You can book your slot by entering the Registration Number and Date of Birth. Admit card is an important document and must be preserved till the admission process is not over. The result for B.S Abdur Rahman University Engineering Entrance Exam will be published on its official site. A link for checking the result will also be provided in this page. You may check your result buy entering your name or Date of Birth and Registration Number. Candidates will be shortlisted for counselling based on the merit marks in entrance exam and qualifying examination. The selected candidates will be issued call letter for appearing in the counselling. It is important to attend the counselling session with all the required documents. To download the call letter, enter your Registration Number and Date of Birth. Insofar, official details of BSAUEEE 2018 have not been announced. Information on this page is as per last year exam and for reference. As soon as B. S. Abdur Rahman University releases BSAUEEE 2018 information brochure, details will be updated here. If you have any queries regarding BSAUEEE 2018, please ask in comments below.